You have five gorillas in a cage. 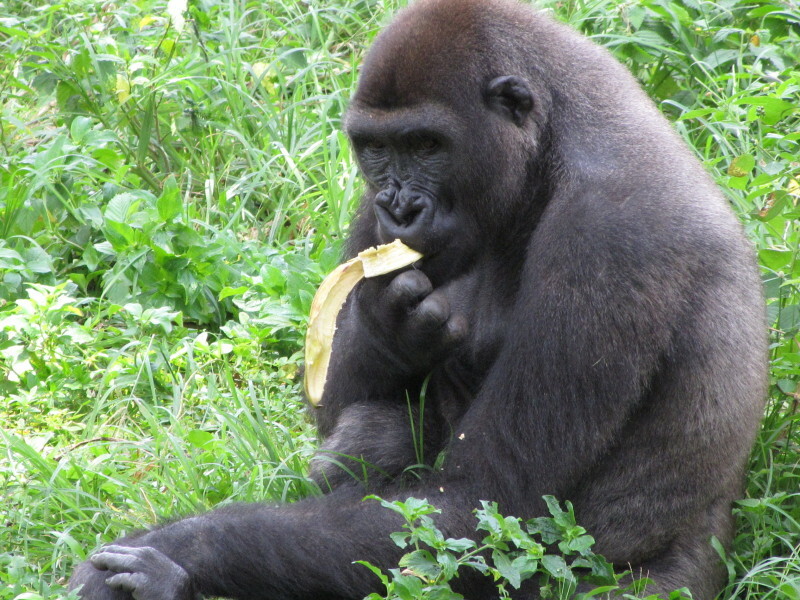 Now, the one thing gorillas love more than anything else is a nice fresh banana. You hang a banana in the middle of the cage. Naturally, the gorillas go for the banana. But when they do, you hit them all with a firehose. Every time a gorilla makes a try for the banana, WHAM! – they all get hit with that cold, hard charge of water. Pretty soon, they stop going after that banana. As soon as that happens, you take one of those gorillas out and put in a new gorilla. Naturally, the new gorilla makes a move for the banana. But when he does, the other gorillas beat the snot out of him. They don’t want to get hit with that damned firehose again. Pretty soon, the new gorilla stops going for the banana. As soon as that happens, you take out another old gorilla and put in another new one. But when he does, the other gorillas beat the snot out of him -- including three original gorillas who don’t want to get hit with the firehose AND the first new gorilla who had never, himself, been hit by the firehose. He joins right in. “When in Rome..,” you know. Pretty soon, the new gorilla stops going for the banana. As soon as that happens, you take out a third original gorilla, and put in a third new one and repeat the whole process. So now you have 5 second-generation gorillas. You take one out and put in one new third- generation gorilla. BUT THEY DON’T KNOW WHY. None of the second-generation gorillas has ever been hit with a firehose. They don’t have any idea why they’re doing what they’re doing. You know right then and there you’re talking to a poor brain-washed gorilla. I question everything I do. I want to know WHY we do it that way. Why not some OTHER way? I want to know the rationale behind it. And if there isn’t one, why keep doing it that way? When the answer is “That’s the way we’ve ALWAYS done it,” I start looking for alternatives. Once in a while, I discover that we’ve always done it that way because, indeed, that’s the best way to do it. When I discover that the way we‘ve always done it is the best way, then I keep doing it that way, no matter what. But when I find something that doesn’t have any rationale other than “That’s the way we’ve always done it,” I don’t hesitate to change – sometimes radically – what I’m doing or what I’m teaching. You can probably guess how the other gorillas behave when I do that.